tarciop added a comment to T80711: Easy way to significantly improve the clunky action menu. The Action menu mixing Player actions and Context interaction is one of the major flaws in Arma interface, in my opinion and I'd like to see the two systems separated eventually. Here's my take on the separation. The Action menu should be a fixed layout menu reserved to "Player actions" with no dynamic options altering it when aiming around. "Context actions" should have no place in the Action menu and become an icon-only system. A new key called "Cycle interactions" should be added (Alt for example) to cycle through all the available options in case of interactive objects with multiple actions attached to them. and #10847 for some other issues regarding the contextual interaction system. tarciop added a comment to T75201: Adjusted Stance shouldn´t change when reloading. tarciop added a comment to T75033: Strafe-running with pistol while prone forces player to stand up. tarciop added a comment to T73246: Make AI take point in formation (especially line, column or staggered column). You can achieve this through the Advance, Stay back, Flank Left, Flank Right orders under the Move menu (1-2, 1-3, 1-4, 1-5). These commands are cumulative: they will make the AI move about 50 m in the corresponding direction each time they are issued. So if you want a unit to take point 200 m in front of you, select it and order it to advance (1-2) 4 times. Also, these orders can be combined: for example, if you issue a Flank order after an Advance one, the AI will move in a diagonal line to take point either to the front-left or front-right. Yeah they don't leave the group. Once in the new offset position, they'll move in sync with you as always. 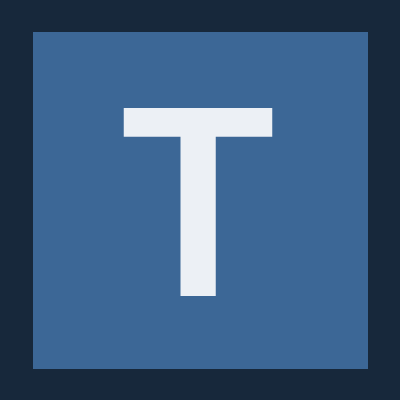 tarciop added a comment to T73135: Lowering / raising weapon while moving needs improvement. tarciop added a comment to T73001: Single Flare Mode Needs Simple Fix. note edited. wrote 49 instead of 94. There's a countermeasure mode key to cycle between single and burst, but apparently it's not working. So i guess this can be considered duplicate of #13945.
tarciop added a comment to T72917: Mouse smoothing still applied to certain views, even when disabled. duplicate of #11751 and #1293.
devs said it can't be fixed. tarciop added a comment to T72804: Squad and Team colours. This was also suggested for arma 2.
tarciop added a comment to T72772: Fatigued by holding/zooming with binoculars or rangefinder, and unsteady as hell. It's ridiculous..
tarciop added a comment to T72232: Revealing works only for local units. tarciop added a comment to T72215: Commanding AI to open door is more important than healing himself/others?. tarciop added a comment to T71914: Unable to transfer into Combat Stance from Weapon Idle..
basically, he wants the vertical stance adjustment system to work as "Cancel lowered weapon + Adjust stance" so that you don't have to raise the weapon back before going in low stand, high crouch, etc. (in case you previously toggled the lowered weapon on with 2xCTRL). remember that you can always raise your weapon also by pressing "Fire" (LMB). tarciop added a comment to T71834: Flickering distant terrain and building textures. tarciop added a comment to T71757: [FIXED] Vaulting while moving in tactical pace with weapon lowered causes crouch animation. tarciop added a comment to T71695: Freelook not available with laser designator. Laser designator should behave the same as Binoculars and Rangefinders. At the moment, you can't lower/raise it with "Optics" key. tarciop added a comment to T71454: Turning the head is sluggish. tarciop added a comment to T71421: Floating rocks in the distance. duplicate of #8658, I guess. tarciop edited Steps To Reproduce on T71411: Going prone while moving: not always smooth. tarciop added a comment to T71136: Remove "open door" order from actions orders menu. tarciop added a comment to T70971: [FIXED] 3rd Person view on MK6 Mortar is useless. I think this can be considered related to #10117 (SDV gunner w/ periscope-down issue in 3rd pers.). In these cases, as 50.cal says, the external view should be tied to the character and not the vehicle. tarciop added a comment to T70962: Pistol appears in hand with rifle while crouch walk..
tarciop added a comment to T70918: Sway of binoculars/rangefinders/designators is way to crass and nauseating. Please devs, decrease the sway of binocs, rangefinders and laser designators, especially when zoomed in. tarciop added a comment to T70889: Lack of Continuity with New Stances. Don't forget the Inventory check! It will cancel the adjusted stance as well (except when prone). tarciop added a comment to T70867: Zoomed view (double tap "+" ) should stay when switching to optic. tarciop added a comment to T70709: Arma engine doesn't allow you to take out AI units silently if they are grouped to other AI units..
tarciop added a comment to T70570: Helicopter controls from guner position ..
tarciop added a comment to T70372: Player is stuck when crouching. tarciop added a comment to T70354: Using Aiming Deadzone with IronSights Commanding Mode Cursor centered in view. tarciop added a comment to T70110: Free look use mouse smoothing although set to zero. If so, this can't be fixed according to the devs. tarciop added a comment to T69970: Going into high prone while changing to fully standing. tarciop added a comment to T69536: Field Of View (FOV)-lock resets when using weapon sight. tarciop added a comment to T69419: Ground textures crimp in a wave like motion while moving. keySwitchWeapon("Switch gun/launcher") selects laser designator instead of launcher if the launcher is added in the inventory after the laser designator. maybe the summary could use some rewording to be clearer and more concise. tarciop edited Steps To Reproduce on T69206: "Use default action" key brings up the Action menu and works the same as "Use selected action". tarciop added a comment to T69174: Instant interaction button to interact with what you're looking at (like in any other game). This request is similar to #10731. We already have a dedicated "Interact" button, it's the "Use default action" key. The problem is it works even in the absence of available interactions since it can open the Action menu and work the same as "Use selected action". I tried to explain why this is problematic in #10847.
tarciop added a comment to T69136: Vaulting with an AT weapon in hand cause the main gun to float in the air..
tarciop added a comment to T69123: BUG: Key E works as cyclic forward, regardless of keybindings..
tarciop added a comment to T69095: Arrow keys control AI vehicle movement, cannot unbind.. The underlying cause is the same as #727: there are assigned controls hidden in the player profile not showing up in game under Options > Controls. tarciop added a comment to T69090: Pressing the E key to open/close doors to further streamline gameplay. Right, he just needs to assign E to "Use default action" under Options > Controls > Common, but beware! If you don't press it at the right time (that is when the interaction icon is showing), "Use default action" brings up the Action menu anyway and can actually select actions once the menu is open. tarciop added a comment to T69085: Easy way to significantly improve the clunky action menu. tarciop added a comment to T69006: AI ignore stance commands when near objects.. Noticed this also in Arma 2. In Commanding mode, many cover spots among the L-shaped ones only accept AI in stand up or crouch stance. If sent to one of these L-positions via Quick Command ("Move there" order), the AI will be stuck in the stance they'll reach the cover with and won't be able to change it when ordered or even in case of danger and enemy presence. But as the video clearly shows, the stance change order is actually memorized in the background and the AI will assume the ordered stance as soon as they leave the cover after a "Return to formation" order. tarciop added a comment to T68842: Switching to rifle, then launcher while going prone, will cycle through all weapons and stances..
tarciop added a comment to T68705: Vehicle sights stuck at full zoom. Numpad+, Numpad0 and NumpadEnter seem fine to me. tarciop added a comment to T68522: "I'm under fire" doesn't really work anymore..
only now I realize i've never used this radio command before, what is it supposed to do? I mean playing in SP and commanding AI. tarciop added a comment to T68478: When SDV periscope is down gunners 3rd person camera is not facing the correct way. This is due to the fact that 3rd person view in gunner seat (no matter what the vehicle) is tied to the turret crosshair. In the specific case of SDV gunner position, the camera should be detached from turret aim when the periscope is put down, i guess. tarciop added a comment to T68465: Optic stances Icon?. maybe the ticket should be retitled as "Option for Optics mode indicator in hipfire" or something like that. tarciop added a comment to T68447: Switching weapons causes player to changes stances. tarciop added a comment to T68365: Going prone when switching to crouch while running with lowered secondary. tarciop edited Steps To Reproduce on T68351: No Quick Command menu available when selecting teams with 9-9-#. tarciop added a comment to T68266: Infantry Compass showing up in pilot and copilot seats of some helicopters. Feel free to open a ticket. tarciop edited Steps To Reproduce on T68266: Infantry Compass showing up in pilot and copilot seats of some helicopters. tarciop added a comment to T68240: 'Gain Altitude' & 'Loss Altitude'. tarciop added a comment to T68215: rangefinder animation glitch when equipting it from a pistol while proned. tarciop added a comment to T68209: Switching weapons without movement penalties. tarciop added a comment to T68181: Heal action symbol blocks view. Action icons should be hidden while in Optics. tarciop added a comment to T68170: Please separate zoom and lock, give toggle zoom option (BETA). tarciop added a comment to T68109: Cannot switch from gunner's seat to driver's seat in the SDV. But only when there's someone next to you as gunner or driver. If the SDV is empty or the other units are riding in back, then there's no problem switching between driver and gunner seats. tarciop added a comment to T67954: Make A & D control the turrets horizontal movement. Just assign A to "Aim Left" and D to "Aim Right" in Options > Controls > Vehicle movement. tarciop added a comment to T67863: Default movement speed in settings. tarciop added a comment to T67577: character will stand up while sprint crawling to the side and forward (diagonally) with handgun equipped. tarciop added a comment to T67454: Player character does unnecessary first aid animation when leaving map screen..
low stand, high stand, step-lean left, step-lean right. tarciop added a comment to T67384: Stance to prone to vault. tarciop added a comment to T67330: Lowering/raising weapon on the move stops movement!. tarciop added a comment to T67310: The new stance indicator is outside the screen, so you can't see it.. I agree with wok here. Imho the silhouette&arrows thing doesn't suit the overall minimalistic/futuristic interface theme very well. tarciop added a comment to T67268: Missing anims form low/high crouch to low/high stand while combat pace. tarciop edited Steps To Reproduce on T67158: Unwanted moves when switching from rifle to pistol in low crouch. tarciop added a comment to T67123: AI models levitated over terrain. tarciop added a comment to T67104: Fast strafing while prone with a pistol = death. tarciop added a comment to T67026: Toggling weapon down while moving causes animation glitch..
That's right. ToggleRaiseWeapon is kind of glitchy. Pressing it to lower the weapon while moving (no matter what the speed: walk, combat pace, run, sprint) always causes a temporary stop of the character. tarciop added a comment to T66911: Weapon is shaking when player takes different stances. The insta-shake upon adjusting stance is a feature, but i think it looks quite unnatural. imo, something more gradual, subtle and not so immediate would be better. tarciop added a comment to T66907: On-screen weapon shaking a ton when in any adjusted stance. If this is a feature, it's quite unpleasant to the eye and should be tweaked to look and feel more natural. tarciop added a comment to T66727: Combat Pace goes opposite when aiming (with video). tarciop added a comment to T66307: Please make all controls more modifiable with <shift> <alt> and <ctrl>. tarciop added a comment to T66079: Laying on ground, doing medic animation suddenly.. I can reproduce this by opening the map while standing in sidestep lean. tarciop added a comment to T66040: Toggle Raise Weapon in Some Modified Stances Will Freeze Player. tarciop added a comment to T65955: Crosshairs always visible and weapon can be fired while lowered and running. I think the crosshair should be hidden while running (just like during sprint) and only show up in walk and combat pace speed. Also, when running or sprinting, "Fire" key should turn out to be disabled if pressed. tarciop added a comment to T65943: Ability to shoot from sideways prone while moving. i don't see why we shouldn't be able to do so. if i can pull the trigger while running with my rifle lowered (shooting at the ground) then i want to be able to pull that same trigger while crawling sideways. tarciop added a comment to T65746: Aiming while resting a weapon+moving and pressing aiming button causes "unstoppable" running. tarciop added a comment to T65619: Moving diagonally and sprinting while prone causes player to stand upright.. Doesn't happen with rifle. It seems a pistol-only bug. tarciop added a comment to T65491: raising weapon locks player in forward movement. tarciop added a comment to T65486: Tactical Pace and Slow Movement toggles should cancel each other. tarciop added a comment to T65483: [Alpha 0.55.103960] Tactical pace + stance adjust prevent standing up during movement. Confirmed. The combination of Combat pace + Adjusted stance breaks the toggle crouch on-the-move functionality. tarciop added a comment to T65465: Lowered rifle crouched walk "shortens" character arms. tarciop added a comment to T65169: Map will make you stand if you are in low crouch. The character appears to go prone instantly as soon as the map is closed, then he automatically stands up and goes back to middle crouch. This was already reported in #2028, but without specifically mentioning the stance problem. tarciop added a comment to T64979: Multiple sensitivity sliders. tarciop added a comment to T64839: Action Menu: Limited loot options & awkward inventory access when picking up weapons/gear from bodies. tarciop added a comment to T64780: Vaulting Position. tarciop added a comment to T64708: Pistol optics canceled while adjusting stance. tarciop edited Steps To Reproduce on T64708: Pistol optics canceled while adjusting stance. tarciop edited Steps To Reproduce on T64705: Unable to walk with pistol in crouch stance. tarciop edited Steps To Reproduce on T64706: Weapon Shaking when walking in crouch stance. tarciop added a comment to T64695: Switching from sidearm to primary weapon while moving causes character to go prone..
tarciop added a comment to T64540: Optics and evasive aren't working together..
tarciop edited Steps To Reproduce on T64476: Unable to drive with WASD in Freelook after assigning WASD to vehicle turret control. tarciop added a comment to T64386: zoom in, aim, it zooms out 0.53.
tarciop added a comment to T64247: Vehicle Optics - Stuck in full zoom. the problem is with the zoom function of "Lock or Zoom" key. tarciop added a comment to T64036: Proned Movement Issues.